WASHINGTON — Imagine if cigarettes were no longer addictive and smoking itself became almost obsolete; only a tiny segment of Americans still lit up. That’s the goal of an unprecedented anti-smoking plan being carefully fashioned by U.S. health officials. But the proposal from the Food and Drug Administration could have another unexpected effect: opening the door for companies to sell a new generation of alternative tobacco products, allowing the industry to survive — even thrive — for generations to come. The plan puts the FDA at the center of a long-standing debate over so-called “reduced-risk” products, such as e-cigarettes, and whether they should have a role in anti-smoking efforts, which have long focused exclusively on getting smokers to quit. “This is the single most controversial — and frankly, divisive — issue I’ve seen in my 40 years studying tobacco control policy,” said Kenneth Warner, professor emeritus at University of Michigan’s school of public health. The FDA plan is two-fold: drastically cut nicotine levels in cigarettes so that they are essentially non-addictive. For those who can’t or won’t quit, allow lower-risk products that deliver nicotine without the deadly effects of traditional cigarettes. This month the government effort is poised to take off. The FDA is expected to soon begin what will likely be a years-long process to control nicotine in cigarettes. And next week, the agency will hold a public meeting on a closely watched cigarette alternative from Philip Morris International, which, if granted FDA clearance, could launch as early as February. The product, called iQOS (pronounced EYE-kose), is a penlike device that heats Marlboro-branded tobacco but stops short of burning it, an approach that Philip Morris says reduces exposure to tar and other toxic byproducts of burning cigarettes. This is different from e-cigarettes, which don’t use tobacco at all but instead vaporize liquid usually containing nicotine. For anti-smoking activists these new products may mean surrendering hopes of a knockout blow to the industry. They say there is no safe tobacco product and the focus should be on getting people to quit. But others are more open to the idea of alternatives to get people away from cigarettes, the deadliest form of tobacco. Tobacco companies have made claims about “safer” cigarettes since the 1950s, all later proven false. In some cases the introduction of these products, such as filtered and “low tar” cigarettes, propped up cigarette sales and kept millions of Americans smoking. Although the adult smoking rate has fallen to an all-time low of 15 percent, smoking remains the nation’s leading preventable cause of death and illness, responsible for about one in five U.S. deaths. Anti-smoking groups also point to Big Tobacco’s history of manipulating public opinion and government efforts against smoking: In 2006, a federal judge ruled that Big Tobacco had lied and deceived the American public about the effects of smoking for more than 50 years. The industry defeated a 2010 proposal by the FDA to add graphic warning labels to cigarette packs. And FDA scrutiny of menthol-flavored cigarettes — used disproportionately by young people and minorities — has been bogged down since 2011, due to legal challenges. “We’re not talking about an industry that is legitimately interested in saving lives here,” said Erika Sward of the American Lung Association. But some industry observers say this time will be different. “The environment has changed, the technology has changed, the companies have changed — that is the reality,” said Scott Ballin, a health policy consultant who previously worked for the American Heart Association. Under a 2009 law, the FDA gained authority to regulate certain parts of the tobacco industry, including nicotine in cigarettes, though it cannot remove the ingredient completely. The same law allows the agency to scientifically review and permit sales of new tobacco products, including e-cigarettes. Little has happened so far. Last year, the agency said it would delay the deadline for manufacturers to submit their vapor-emitting products for review until 2022. The FDA says it wants to continue to help people quit by supporting a variety of approaches, including new quit-smoking aids and opening opportunities for a variety of companies, including drugmakers, to help attack the problem. As part of this, the FDA sees an important role for alternative products — but in a world where cigarettes contain such a small amount of nicotine that they become unappealing even to lifelong smokers. “We still have to provide an opportunity for adults who want to get access to satisfying levels of nicotine,” but without the hazards of burning tobacco, said FDA Commissioner Dr. Scott Gottlieb. He estimates the FDA plan could eventually prevent 8 million smoking-related deaths. Philip Morris International and its U.S. partner Altria will try to navigate the first steps of the new regulatory path next week. At a two-day meeting before the FDA, company scientists will try and convince government experts that iQOS is less-harmful than cigarettes. If successful, iQOS could be advertised by Altria to U.S. consumers as a “reduced-risk” tobacco product, the first ever sanctioned by the FDA. Because iQOS works with real tobacco the company believes it will be more effective than e-cigarettes in getting smokers to switch. Philip Morris already sells the product in about 30 countries, including Canada, Japan and the United Kingdom. iQOS is part of an elaborate corporate makeover for Philip Morris, which last year rebranded its website with the slogan: “Designing a smoke-free future.” The cigarette giant says it has invested over $3 billion in iQOS and eventually plans to stop selling cigarettes worldwide — though it resists setting a deadline. Philip Morris executives say they are offering millions of smokers a better, less-harmful product. Matthew Myers of the Campaign for Tobacco-Free Kids still sees danger. He says FDA must strictly limit marketing of products like iQOS to adult smokers who are unable or unwilling to quit. Otherwise they may be used in combination with cigarettes or even picked up by nonsmokers or young people who might see the new devices as harmless enough to try. “As a growing percentage of the world makes the decision that smoking is too dangerous and too risky, iQOS provides an alternative to quitting that keeps them in the market,” Myers says. It’s unclear whether existing alternatives to cigarettes help smokers quit, a claim often made by e-cigarette supporters. Research from the Centers for Disease Control and Prevention suggests about 60 percent of adult e-cigarette users also smoke regular cigarettes. Experts who study nicotine addiction say the FDA plan is grounded in the latest science. 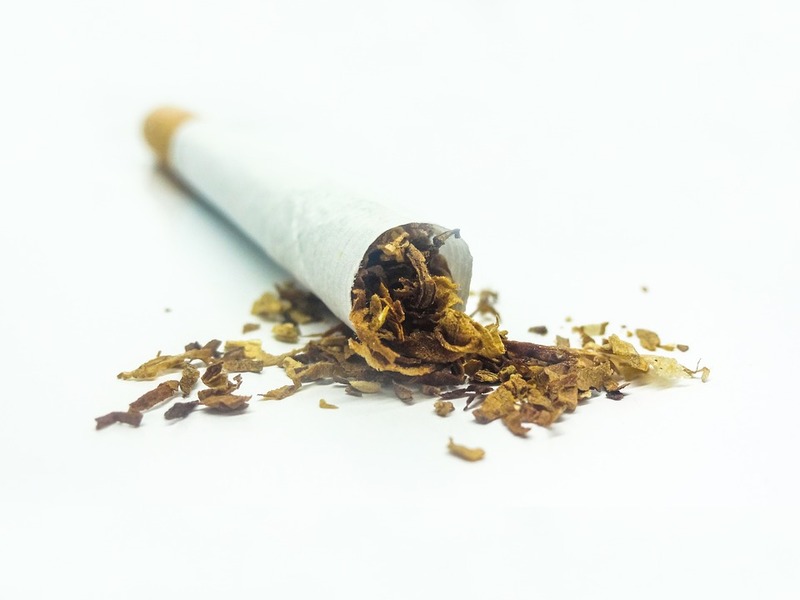 Several recent studies have shown that when smokers switch to very low-nicotine cigarettes they smoke less and are more likely to try quitting. But they also seek nicotine from other sources, underscoring the need for alternatives. Without new options, smokers would likely seek regular-strength cigarettes on the black market. Crucial to the FDA proposal is a simple fact: nicotine is highly addictive, but not deadly. It’s the burning tobacco and other substances inhaled through smoking that cause cancer, heart disease and bronchitis. “It’s hard to imagine that using nicotine and tobacco in a way that isn’t burned, in a non-combustible form, isn’t going to be much safer,” said Eric Donny, an addiction researcher at the University of Pittsburgh. A study of 800 smokers by Donny and other researchers showed that when nicotine was limited to less than 1 milligram per gram of tobacco, users smoked fewer cigarettes. The study, funded by the FDA, was pivotal to showing that smokers won’t compensate by smoking more if nicotine intake is reduced enough. That was the case with “light” and “low-tar” cigarettes introduced in the 1960s and 1970s, when some smokers actually began smoking more cigarettes per day. Still, many in the anti-smoking community say larger, longer studies are needed to predict how low-nicotine cigarettes would work in the real world. Key to the FDA plan is the assumption that the two actions will happen at the same time: as regulators cut nicotine in conventional cigarettes, manufacturers will provide alternative products. But that presumes that tobacco companies will willingly part with their flagship product, which remains enormously profitable. Kenneth Warner, the public policy professor, said he would be “astonished” if industry cooperates on reducing nicotine levels. “I don’t think they will. I think they will bring out all of their political guns against it and I’m quite certain they will sue to prevent it,” he said. In that scenario, the FDA plan to make cigarettes less addictive could be stalled in court for years while companies begin launching FDA-sanctioned alternative products. Tobacco critics say that scenario would be the most profitable for industry. “It’s like Coke, you can have regular Coke, Diet Coke, Coke Zero, we’ll sell you any Coke you like,” said Robin Koval, president of the Truth Initiative, which runs educational anti-tobacco campaigns. But the FDA’s Gottlieb says the two parts of the plan must go together. “I’m not going to advance this in a piecemeal fashion,” he said. When pressed about whether industry will sue FDA over mandatory nicotine reductions, tobacco executives for Altria and other companies instead emphasized the long, complicated nature of the regulatory process. 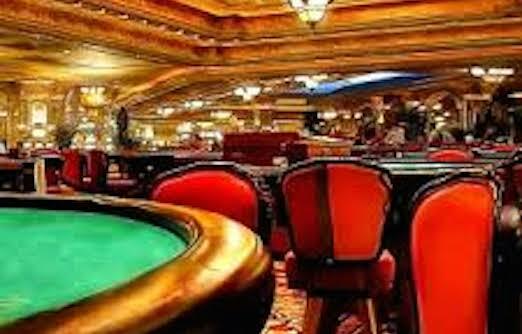 Will Nevada Ever See Smoke-free Casinos?